Angie was born, raised, and worked on the family farm, northeast of Miller, SD. From there she attended South Dakota State University, and in 2000 upon graduating became a licensed Property and Casualty Agent and CSR for an agency in Brookings, SD. Unfortunately, her father was involved in a bad farm accident, and so Angie returned home to help with the operation of the farm. 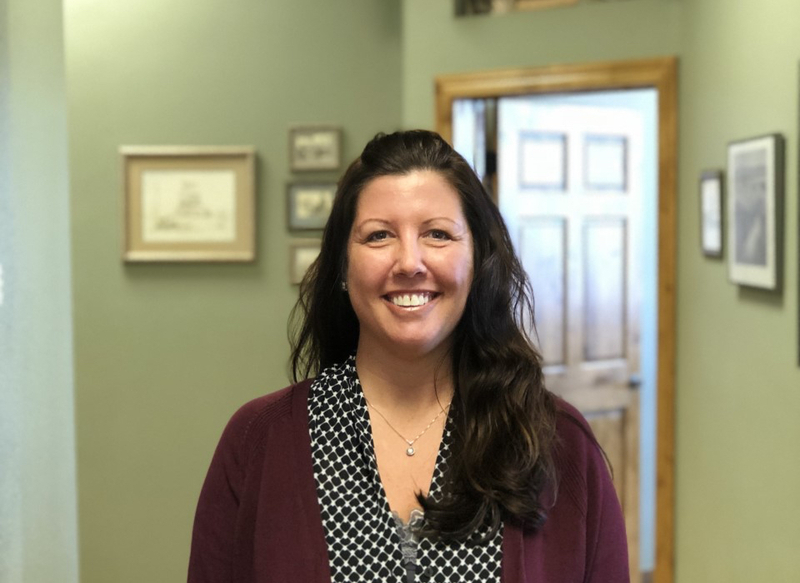 After her father’s recovery, Angie moved to Pierre in 2006, and was employed at Farm Credit Services as a Closing Specialist before joining The Ag Agency in 2014. A double agent, she is a licensed agent in both Crop Insurance with The Ag Agency, and in Property and Casualty with Security Insurance Group, handling the administrative, data management, processing duties, directing walk-ins and calls between the 2 businesses that are in the same office space, along with being a Notary Public. She and her husband Jeff, live north of Pierre with their 2 sons, Will and Coby. She enjoys spending time with family, the outdoors, and playing softball.